Experts in conservation-restoration will apply technology on the reliefs, so that the stone is regenerated and prevents the absorption of water, allowing the transpiration of the rock. The largest carved stone in the world is found in Bolivia, in the department of Santa Cruz, where El Fuerte de Samaipata is 160 meters long and 60 meters wide. The figures of jaguars, snakes and ñandúes [South American Ostrich – Nandu] were recorded 2,000 years ago, and occupy 11,000 square meters of stone, a series of carvings that are at risk from lichens, fungi and mosses, in addition to the climate conditions of the region. To avoid the deterioration of this National Monument, cataloged Cultural Patrimony of the Humanity by UNESCO, in 1998, authorities of Samaipata and technicians of the Center of Archaeological Investigations (CIAS) contracted to the company Édolo, that discovered the procedure to stop the deterioration of the rock of Samaipata. 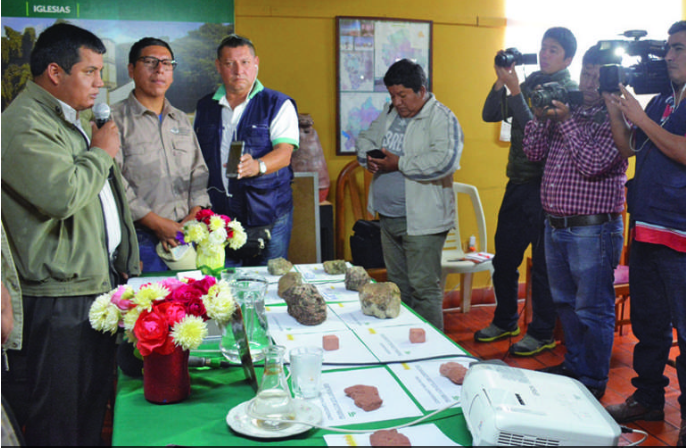 Last Friday [02/01/2019], the local authorities, together with the experts in charge of conservation-restoration work, explained the scope of the Samaipata Stone Conservation Plan and the archaeological museum. The local authorities show the findings. 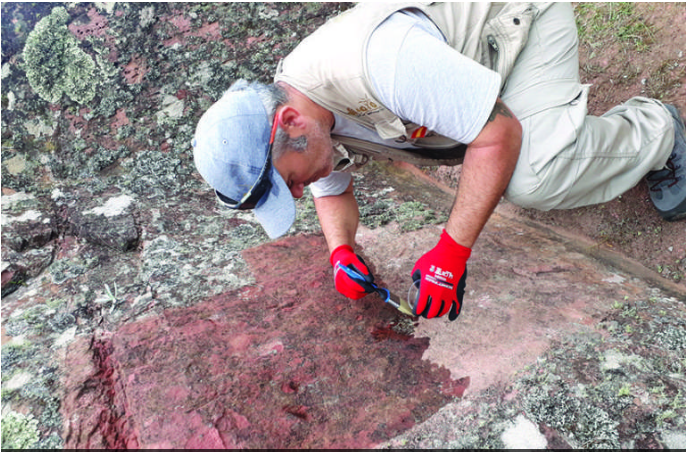 “We developed the procedure for the conservation of the rock that consists in the elimination of the biotic agents that are damaging and disintegrating it. Once these are removed, the stone is regenerated with a compound related to the composition of the stone in such a way that it returns its consistency and properties. Later a hydrophobic treatment will be carried out (not waterproofing) that allows the stone to perspire and does not absorb the water to avoid that this one remains humid,” said the licensed specialist in conservation-restoration Virtudes Jiménez Torrubia. In addition to the expert with 27 years dedicated to the conservation and restoration of heritage, the project will involve Luis Miguel Muñoz, a conservator with 23 years of experience, both managers of the Édolo Conservación Restauración SL company. The mayor of Samaipata, Flavio López, was in charge of request the support of the Embassy of the United States, which ensured the allocation of resources for the tasks of “rescue and conservation” of the carved stone of the fort. An expert teaches the procedure to the press. 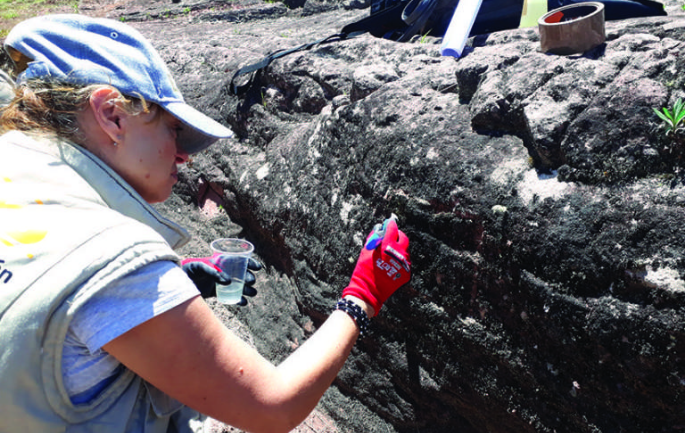 With the discovery of the procedure to stop the deterioration of the Samaipata rock, the final project is calculated to be finalized and delivered within a period of five to six months. “It is a very serious study that requires great depth and dedication,” remarked Jiménez. Bolivian Thoughts opinion: News like this one uplift our spirits! Kudos to the American Embassy for their support, despite how badly the coca caudillo government behaves with the USA, the assistance continues … thank you SO much!